The National Institute of Standards and Technology plans to award up to $100,000 in competitive grants under the agency’s Small Business Innovation Research initiative for research and development work on 19 technologies. 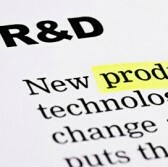 The first phase of the SBIR federal funding opportunity is meant to ascertain the technical feasibility of R&D projects, NIST said Wednesday. Research areas covered by the grant program are advanced sensing manufacturing, throughput biomanufacturing, cryptography and privacy, cyber-physical systems, technology transfer, materials genome, quantum-based sensors and measurements. Click here to view the list of technologies that NIST seeks for each research category.